Last weekend a record number of LAS students went hiking and camping in pursuit of their International Awards. 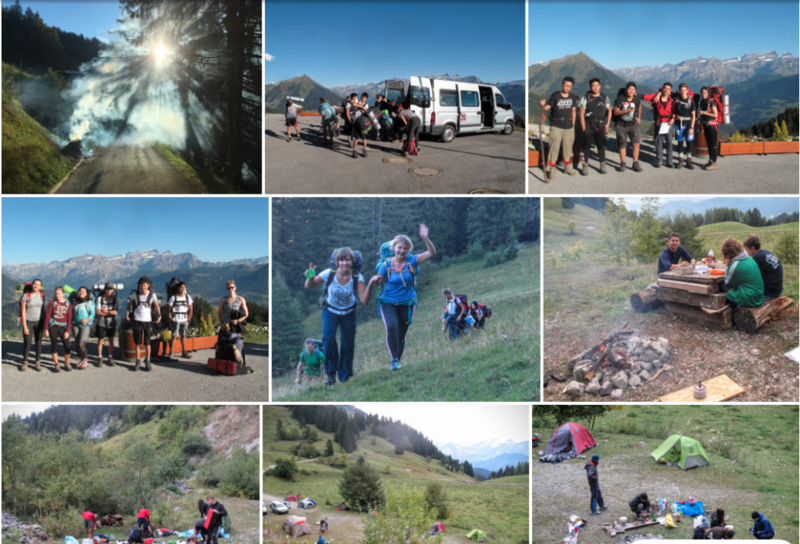 Twenty-two students hoisted backpacks full of sleeping bags, tents, stoves, and tents before hiking several kilometers to the Friday night campsite near Pierre de Möellé, located between Tour de Famelon and Mont d’Or, two of our prized “Skyline Peaks” that surround Leysin. Friday’s glorious weather transitioned to Saturday’s increasing clouds and finally rain as everyone hiked over to campsite #2 by Col des Mosses. At this point most of the Practice and Qualifying Bronze-level students climbed into a van to return to Leysin. Meanwhile, the Qualifying Silver-level students set up camp and built a fire in the rain, hoping for dry weather in the morning. We awoke to more rain, but eventually it cleared enough to make breakfast and head out for a third day of hiking, this time through forest along the north side of Mont d’Or. All Qualifying students worked together in teams to do their own navigation and campcraft without adult assistance. They proved themselves magnificently. Click the image to see a gallery of photos.